Thanks for all your get-well-wishes. I feel a little better today, so I have done my best to catch up with the Advent Calendar = 2 freebies today! 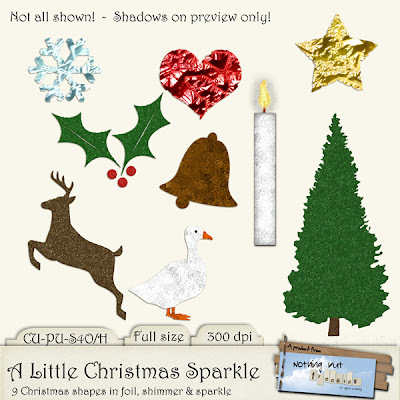 I hope you can use them to sparkle up your Christmas layouts, cards or maybe place cards for the Christmas Dinner table...? 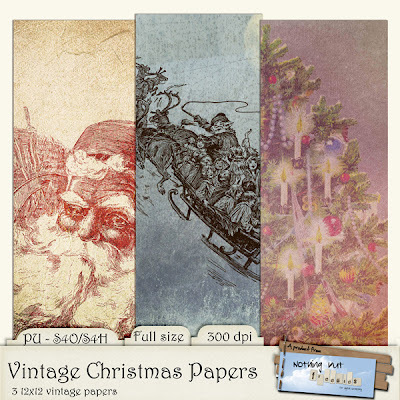 And for today I give you a set of 3 Vintage Christmas Papers. 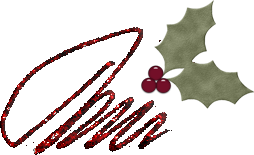 And finally - if you haven't already discovered it - I posted a very small, unannounced emergency freebie for you yesterday. You can get it HERE. I count on being back again with a new AC Freebie tomorrow. See you then! thanks so much for the beautiful elements and gorgeous papers! hope you're feeling better! Thank You for Your Lovely Elements and Papers! Beautiful papers! Thanks so much for sharing! Wow, everything you make is so beautiful. I love the soft, vintage, and grunge looks the best. Thank you so much!